I am so sad to see this list project end. It has been so much fun linking up with fellow bloggers each week and I have loved the challenge of having to write about a specific topic. That said this week's list challenge is to write up a list of goals for 2017. Is it awful to admit that I rarely write a list of goals? I'm sure it is.. I've seen it written in a million different places that the best way to achieve your goals is to write them down, read them, and work on them. 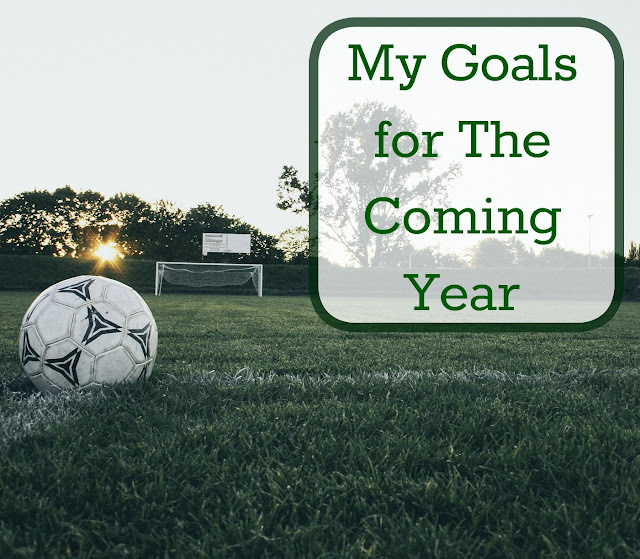 I am not one for coming up with new years resolutions either and so I shied away from this list for just a bit.... then I realized that goals are a bit different. Checking in and sitting with Ian more often during our homeschooling day. Be more mindful of his schoolwork and find a new way to spark his passion in learning. I often think since he's older and more self sufficient I am all set to work with my youngest son but Ian needs guidance too. Lately he's so apathetic about EVERYTHING we're working on... I'd love to find something that grabs his interest again. Find more time to scrapbook, craft, and make cards just for fun. I need to make time for ME and things I find fun. I can't remember the last time I made a craft that was not something I was demonstrating to the boys. I miss it! Save up enough money for one last Disney/ Florida trip with the boys. They've all been asking and I need to capitalize on that before they feel they've outgrown it. Laugh and smile more! We have a pretty great life but I'm always so preoccupied... I want to live in the moment more. Smile, laugh, and enjoy the little moments that make life great. Worry less! I'm not sure I can really do this one but I would love to give up more of my worries and just let life happen. Find new places to explore! In writing up our 52 Brand New Experiences I had a hard time coming up with 52 this year. Homeschooling for so many years in a row we've visited most of the local museums and attractions many times but I would like to make more of a concerted effort to widen our circle and see/do more. How about you? What are some of your goals for next year? I have loved reading bloggers takes on these topics as well! I am with you, I love to scrapbook and I have so put on the back burner this year so I hope to catch up a lot in 2017. Wishing you and your whole family a very happy new year! Thank you; Wishing you a very happy new year as well. I'm not a good goal maker, either. Was nice getting to know you through this!! I do like the idea of goals to work toward, instead of set resolutions. Goals seem to be easier to achieve, or at least stay on track with. I love the idea of exploring more! I like to find new things to do in my city. Sometimes you can visit the same places, but for different seasons or events. I think the word goal is much less intimidating than resolution. I think it means fairly the same thing but in my mind goals are something to work toward while a resolution is something we tend to start by jumping in with both feet right away. I sat down and started making a list of places we could visit that we keep putting off.... hopefully we'll get to a few new ones this year. What a great list! I love the idea of using the "small things" that add up to big memories! This could almost be my list. I really thought about putting the worry less one on my list too, because that's a big one. Great list! Glad it's not just me... I seem to worry ALL THE TIME!